Rotary Club of Twin Valley has supported District 7450 Rotaplast missions for 19 years. 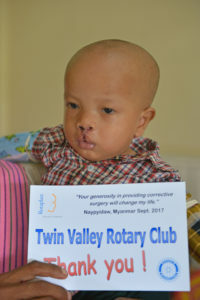 Rotaplast provides free surgery to repair cleft lip and palate birth defects. 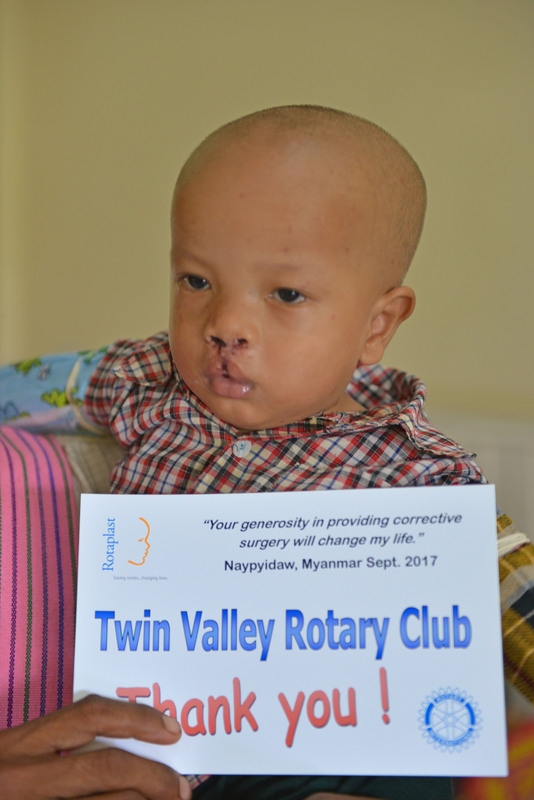 Medical teams and Rotary volunteers donate their time to help primarily children. Donations from local clubs and individuals finance medical supplies and transportation costs. The September 2017 mission was to Naypyidaw, Myanmar. Our annual premier fundraising event.